[css]// Don’t let WordPress recompress images. You’ll put this code in your Functions.php file under your Child Theme. • In your WordPress dashboard, go to Appearance -> Editor. • In the right-hand corner, make sure the field in “Select theme to edit:” is your Child Theme. 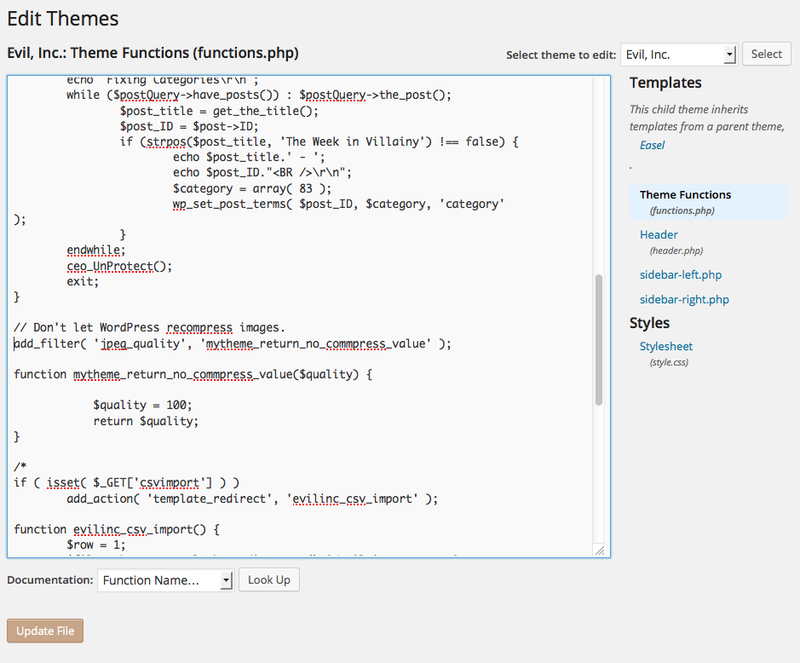 • Click on Theme Functions (functions.php) in the right-hand column. • Now, simply plug in your code (like the example below) and click Update File at the bottom. Please note: This only works if you’re uploading JPEG files. If you’re uploading PNG files, for example, the WordPress compression is not initiated, and there’s no reason to code against it!